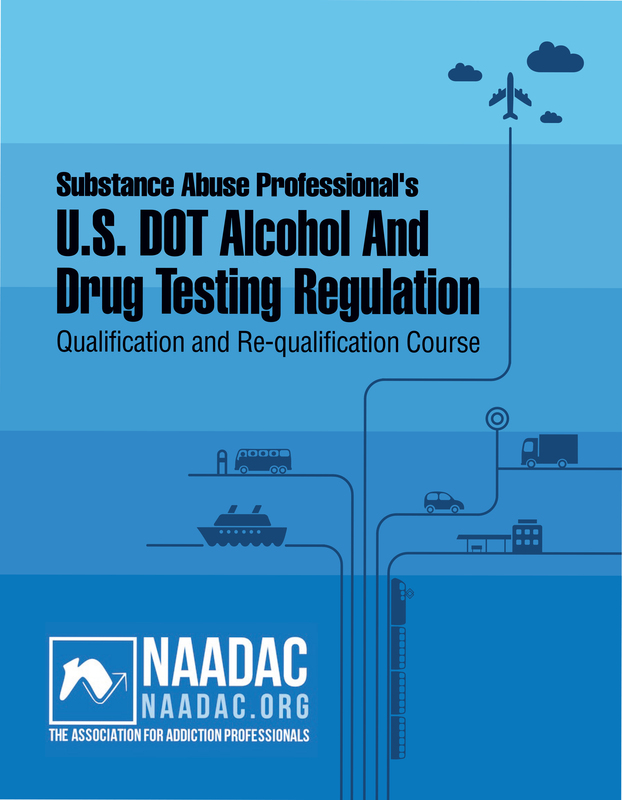 This independent study course is designed to provide new applicants who wish to practice as a Substance Abuse Professional (SAP) with an in-depth understanding of the Department of Transportation’s (DOT) expanded and revised drug use and alcohol misuse prevention rules for the commercial transportation industries. The course includes a bound Learner’s Guide (with sample forms to use in your practice) and an examination that allows the student to learn and demonstrate his or her knowledge of the required regulations and skills. The Independent Study Course also includes an examination (validated 100-item online examination for initial qualification; 25-item online examination for re-qualification). Participants who achieve a passing score of 75% or higher will be issued a Substance Abuse Professional (SAP) Qualification Certificate to frame and display in your office and a Certificate of Completion for 12 CE credits. SAPs qualified through NAADAC are afforded three years of maintenance-free eligibility to practice as an SAP, as well as a free listing of your contact information on our website to help advertise your services.